Michael Cohen, President Donald Trump’s former attorney who pleaded guilty to eight federal crimes, now has a fundraiser going to help finance his defence. A GoFundMe page set up by Cohen’s attorney, Lanny Davis, raised more than $US125,000 in less than 24 hours. A $US50,000 donation credited to NASCAR CEO Brian France and his wife, Amy, briefly appeared on the GoFundMe page and was later marked as anonymous. France endorsed Trump for president in 2016. 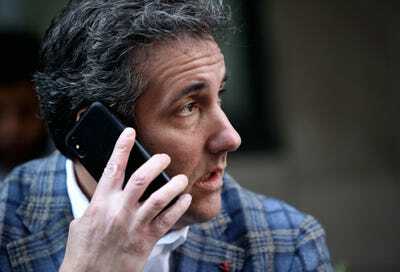 An attorney for Michael Cohen, President Donald Trump’s former lawyer who pleaded guilty to eight federal crimes including bank fraud, is raising money for Cohen’s defence. Lanny Davis set up a GoFundMe campaign, and it gained huge traction in the first 24 hours, raising over $US125,000 in that period. “We ask everybody who is interested in Michael being able to tell the truth to help him out,” Davis said. A $US50,000 donation initially credited to NASCAR CEO Brian France and his wife, Amy, briefly appeared on the GoFundMe page. It was later marked as anonymous. France endorsed Trump for president in 2016.